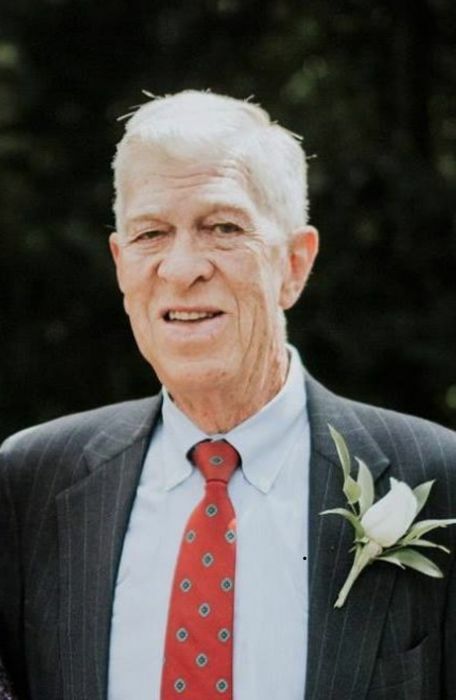 Marvin Duane Mulkey, son of Ted and Cleo (Austin) Mulkey, died on February 4, 2019 at age 78 in Naples, Florida. Born in Blue Mound, Kansas in 1940, Duane attended high school in Mound City, Kansas and graduated from the University of Kansas with a degree in Chemical Engineering in 1962. Following graduation, he started his employment with UOP in Des Plaines, Illinois, where he remained for 40 years. During this time, Duane frequently traveled abroad and, in 1983, received his MBA from the University of Chicago. Once retiring, he enjoyed splitting his year between the Chicago area and Naples, in addition to traveling to Charlottesville, Virginia to visit his daughter and family. Duane was a gentle, earnest, and good-natured man who loved and inspired his children and grandchildren. His passion for golf led him to purchase a condominium overlooking the Pelican Marsh golf course where he exceeded his golfing dream: two holes-in-one. He was active and engaged with his alma maters and other organizations that were close to his heart. Duane was predeceased by wife Charlotte Elizabeth (Barker) Mulkey and is survived by his son, Mike Mulkey (Ania) of Lombard, Illinois and daughter, Teri Marsh (Dave) of Charlottesville, Virginia and grandchildren Lucas (Amanda) and Isabelle. Visitation: Monday, February 11, 2019 from 10 am to 12 pm with a prayer service at 12 pm at Northlake Funeral Home, 140 E. North Ave, Northlake, Illinois 60164. Entombment immediately following at: Elm Lawn Cemetery in Elmhurst, Illinois.